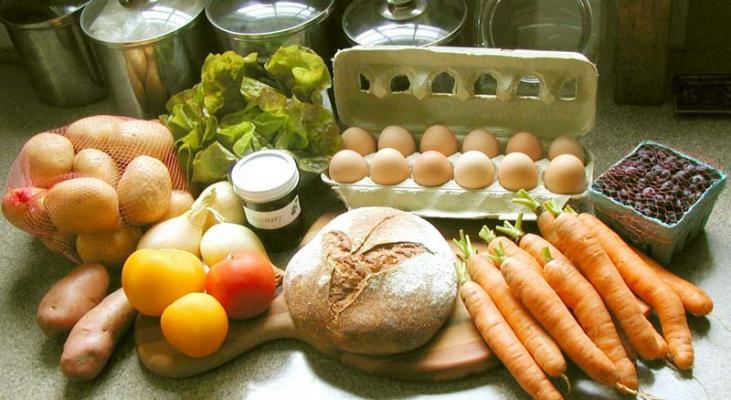 Welcome to the TriLocal food system directory. This directory lists local food providers in Bennington county and adjacent areas of Massachusetts and New York state. Our mission is to support a thriving and sustainable regional food system. The original BenningtonLocal directory, started in 2009, has changed its name to better represent the larger foodshed of the tri-state area of southwestern Vermont, northwestern Massachusetts and Washington and Rensselaer counties in New York State. The result is trilocal.org—and we hope the name inspires you to try local! Our global economy has increasingly treated food as an industrial commodity, resulting in food that depends heavily on oil in its production, fertilization, pest control, processing and transportation. Knowing where our food comes from, and how it is grown or raised, enables us to choose food from farmers who treat their animals humanely, and farmers who avoid or reduce reliance on toxic fertilizers and pesticides, hormones and antibiotics. Buying food locally helps ensure local farms will survive and continue to be part of our landscape. Local food is less dependent on oil for transportation and agriculture. Local food doesn’t need to be irradiated, waxed or genetically modified. And local food keeps the control of our food supply in the hands of local farmers, rather than a few multinational corporations focused on short-term profits. Many of us now question the safety and sustainability of our food sources, and eating locally makes it much easier to find the answers. It also adds to our eating pleasure when we know where our food has come from and the farmer who grew it. We encourage you to contact us with any information we may have missed so we can ensure this directory is as comprehensive as possible. We are excited to announce our collaboration with Shelly Stiles and the Bennington County Conservation District on creating an expanded farm and food directory which will include not only locally grown and produced foods but also other agricultural and forestry products as well. In the winter of 2011, BCCD conducted a survey of all farms in the Bennington County conservation district. Our website now includes all the data from that survey. We'll be adding search functions, a map, and in the longer-term more types of food and agriculture related resources, including retail and restaurants.